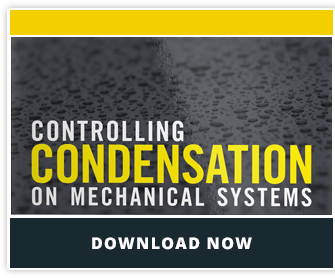 An effective mechanical insulation system is a big investment, but one that’s completely worth it because of the incredible benefits. From money and energy savings to personnel protection and safety, the reasons for insulation are numerous. But what if you stopped getting all of those benefits from your insulation system? What if something that was supposed to save you money actually ended up costing you money to repair? That’s what Corrosion Under Insulation, or CUI, does to facilities. CUI is well-known to many facility managers, maintenance and construction personnel for its destructive powers. Pipe corrosion under insulation is a slow but debilitating (and potentially expensive) problem. In the simplest terms, CUI is any type of corrosion that occurs due to moisture buildup on the external surface of insulated equipment. Galvanic corrosion, alkaline acidic corrosion, and stress-corrosion cracking have all been known to happen in certain conditions. Learn more about causes of CUI here. In exposed locations where humidity is high, it's almost inevitable that moisture will seep through to the protected surface and, once there, it rarely evaporates, especially when the equipment being protected is exposed to adverse weather. These conditions are ideal for corrosion to take place. Even where an anti-corrosion paint layer has been applied, it is not long before localized pitting corrosion can start. What are the Consequences of CUI? If one thing is certain about CUI, it’s that the results are costly. A research team of corrosion specialists enlisted by congress found that the direct cost of corrosion in the United States totals $276 billion per year, with that number potentially doubling when indirect costs are also considered. The cost of repairing the damaged equipment and replacing the insulation can be significant. Replacing piping and insulation could involve facility downtime, adding to production and revenue losses. Between 40 and 60 percent of piping maintenance costs are related to CUI. Serious CUI can put operations and personnel in danger from leaks. Over 80 percent of piping leaks occur in diameters smaller than 4-inch nominal pipe size. Unfortunately, because it’s hidden under insulation material, CUI often goes undetected until it becomes a serious problem. It is hard to identify and expensive to test for, since testing often involves removing the insulation system, which many facility managers are reluctant to do. Knowing where corrosion is likely to occur, such as in low spots and at certain temperatures, helps establish an inspection regime. Unfortunately, there is no magic solution to stopping CUI. But by understanding the causes and using best practices to combat those causes, you can reduce the risks. The National Board of Boiler and Pressure Vessel Inspectors also has a great in-depth article about methods for preventing the various types of CUI. During installation of the insulation, steps should be taken to protect the surface of the pipeline or equipment from corrosion. This includes anti-corrosion paint, coating with one of the newer high-tech protective coatings, or wrapping the equipment with a water-resistant protective tape. In situations where CUI is likely, long term protection measures may require the periodic stripping and re-installation of the entire insulation system every few years. Corrosion underinsulation can be a serious problem if not detected early. To learn more about how the right mechanical insulation system can help protect your equipment from CUI, contact NCMI.